Wanting to make a gigantic impact on your next table setting. 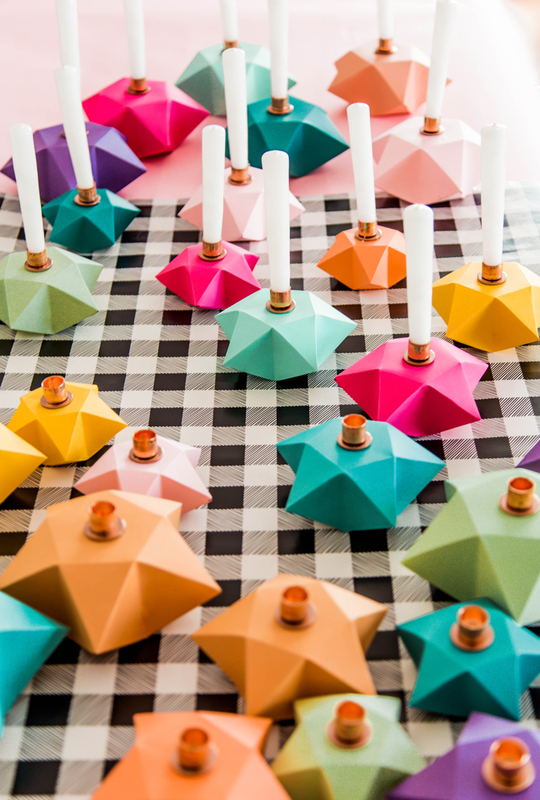 We crafted up a bunch of these DIY candle holders for a recent table display and they are honestly one of my favorite party element projects ever! 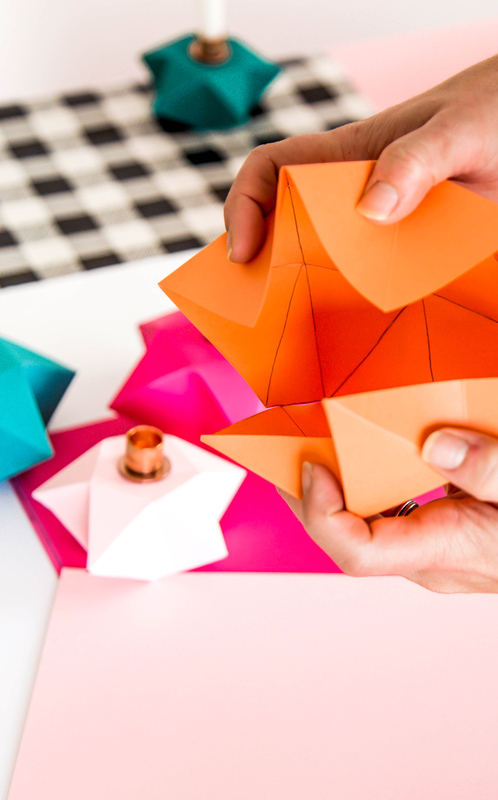 They are simple to make – it is literally just folded paper and a few hardware supplies. 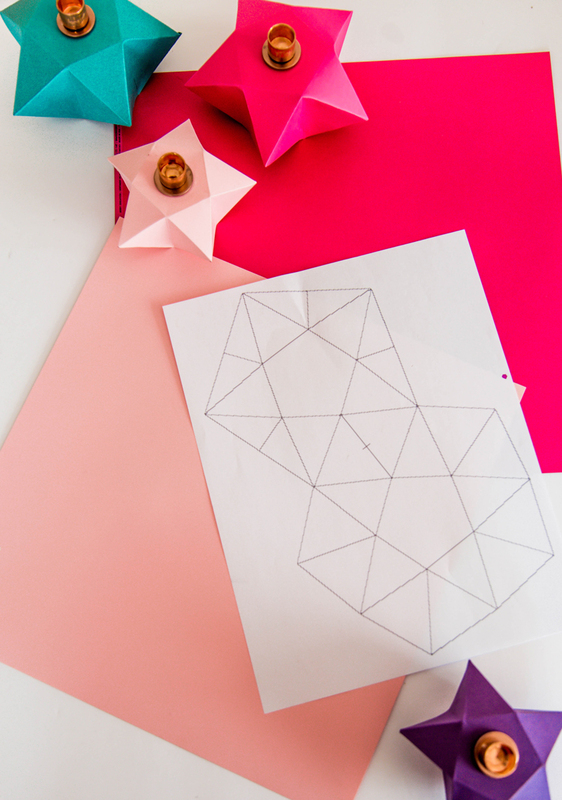 Download the template and follow along with our quick steps below for how to make origami stars and create a display of candle holders that will fill every freaken table you need in gorgeous crafty style. The DIY candle holders look awesome all grouped together for party fun (I do believe this will easily be my new Advent display!). They also look sweet in smaller groups hanging out on mantels or side tables. Putting them together with our paper mache DIY flower vase will make for an entire DIY party display that is fresh and fun for spring. 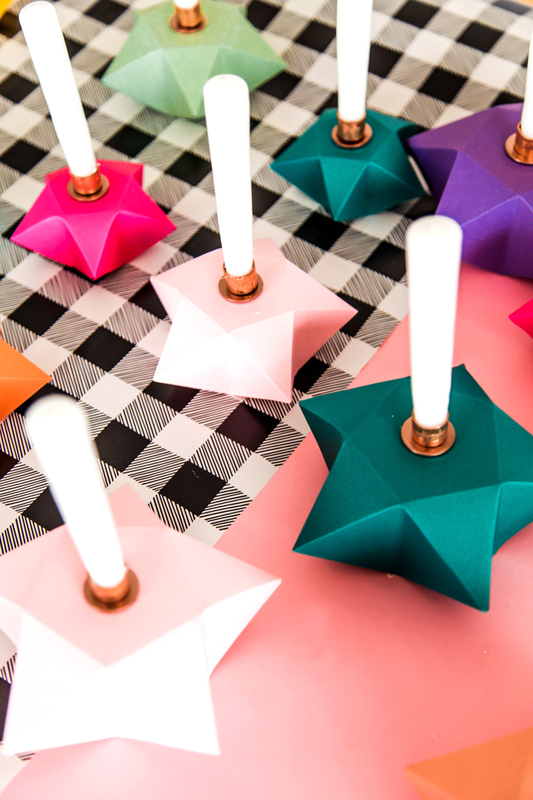 Once we’re already folding paper to make the origami stars we mid-as-well fold out these pretty paper party lights too! Paper parties are obviously some of my favorite kinds. 1. To make your DIY candle holders start by spray painting the washers that will go on top. Set them aside to dry. 2. If you’re going to make smaller origami stars you can print the origami star template we’ve included right into 8.5”x11” colored paper. When we figured out the easiest way how to make origami stars in the larger version, we used 12”x12” cardstock. So using a light box we traced the origami star PDF template onto the paper. If you don’t have a lightbox you can use a bright window and trace that way! 3. Cut around the outside of the template. 4. Using a score board score along all the lines. You could also use a ruler and fold the paper against it to create precise lines. 5. Fold along each of the lines you just scored. 6. 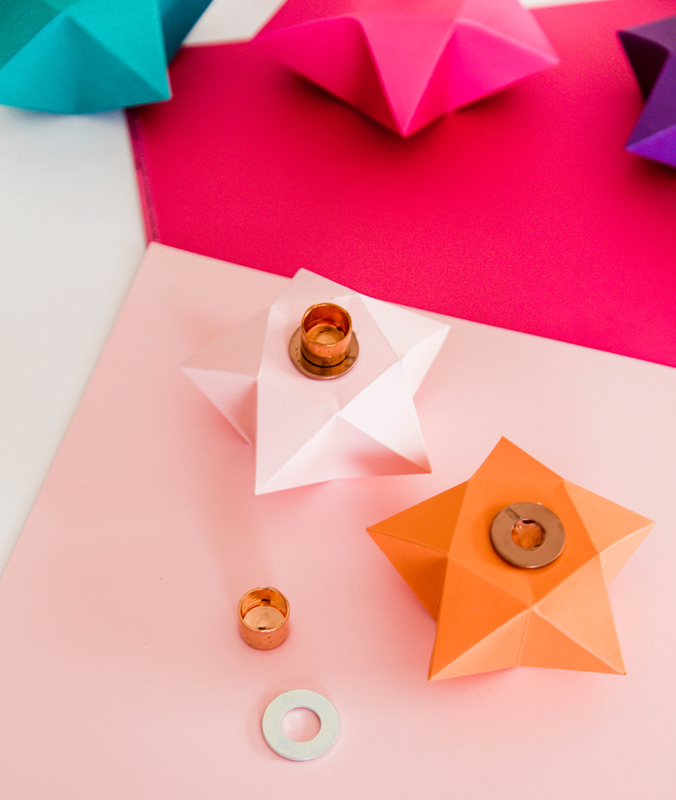 Apply a small amount of hot glue to one of the tabs and stick together, this is the easiest way we’ve come up with for how to make origami stars. 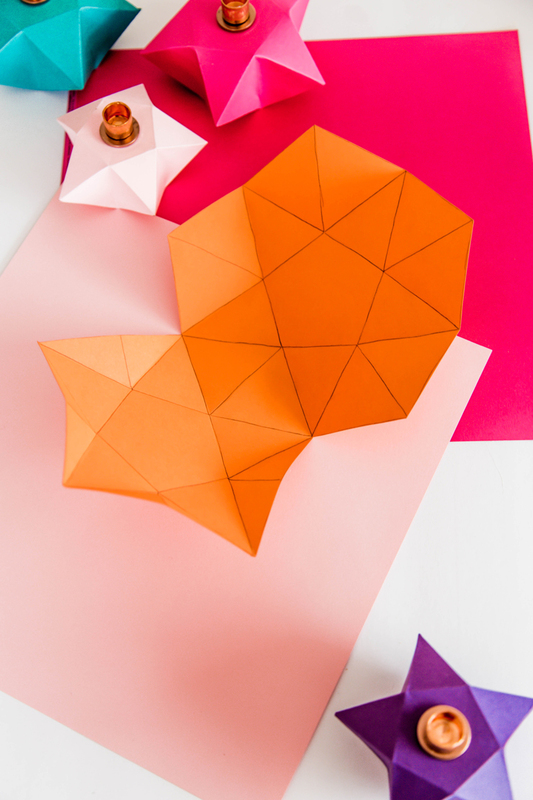 For another option that is more decorative check out our Origami Star Tutorial. 7. Continue connecting the paper on the remaining three tabs. 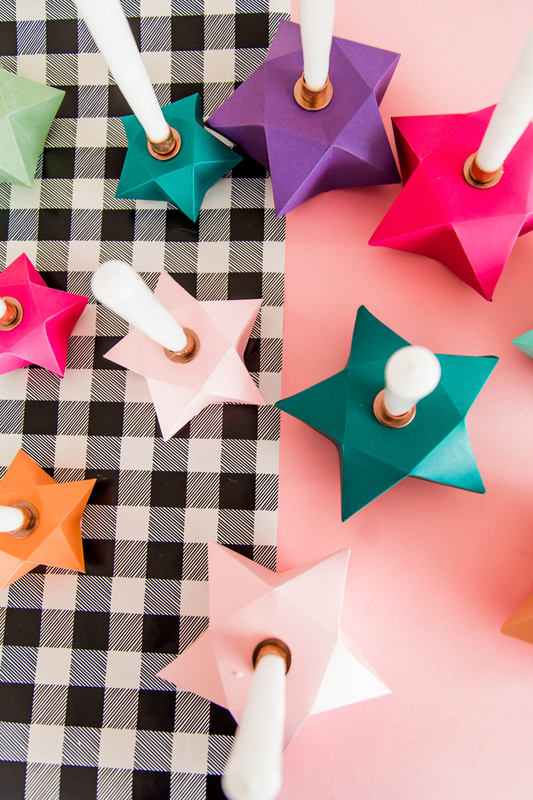 Now that you know how to make origami stars, turn these just made origami stars into DIY candle holders! It’s super easy. 8. 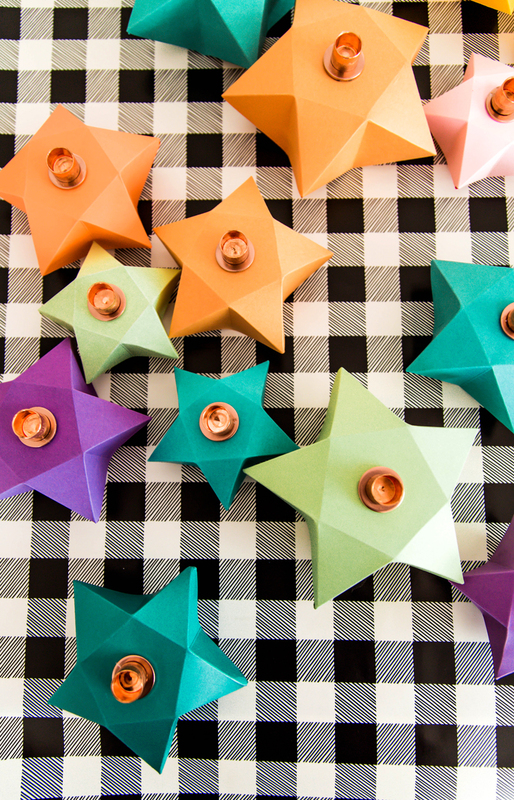 Using a thin line of hot glue, attach the washer to the top center of easy of the origami stars. 9. Fill the center of the washer with hot glue and attach a copper cap. 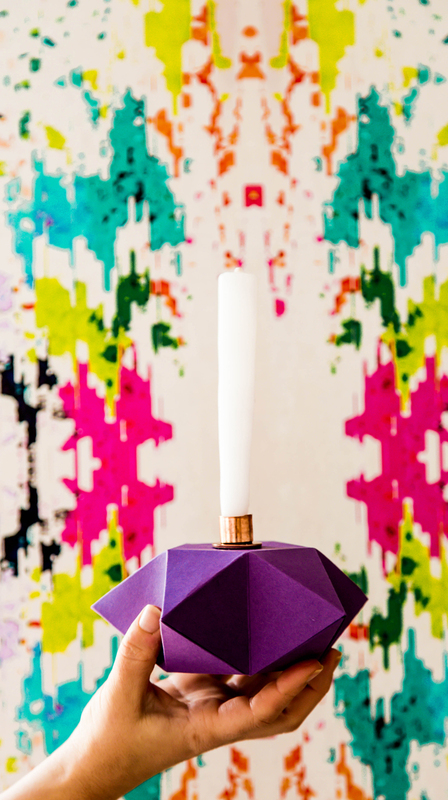 DIY candle holders that are ready to party made in an instant! 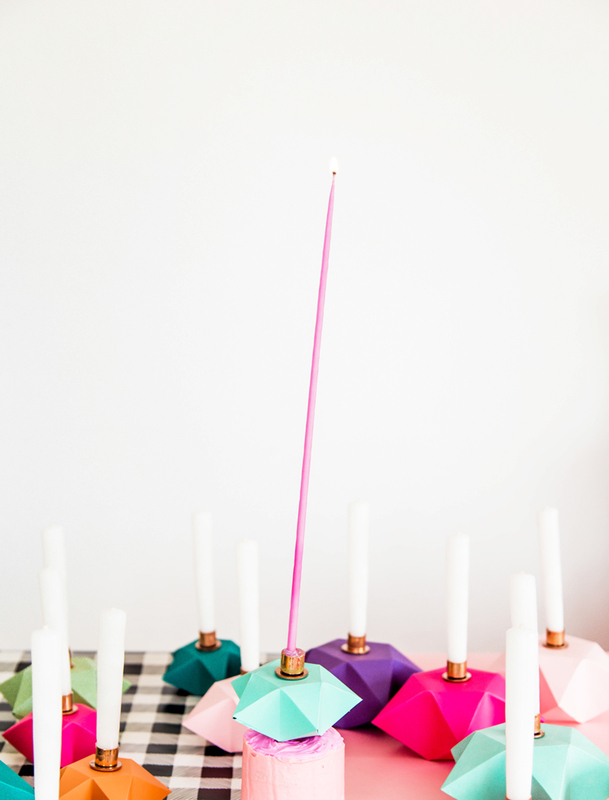 Put a taper candle on top or even a fun skinny birthday candle and light for a party scene you’ll love. 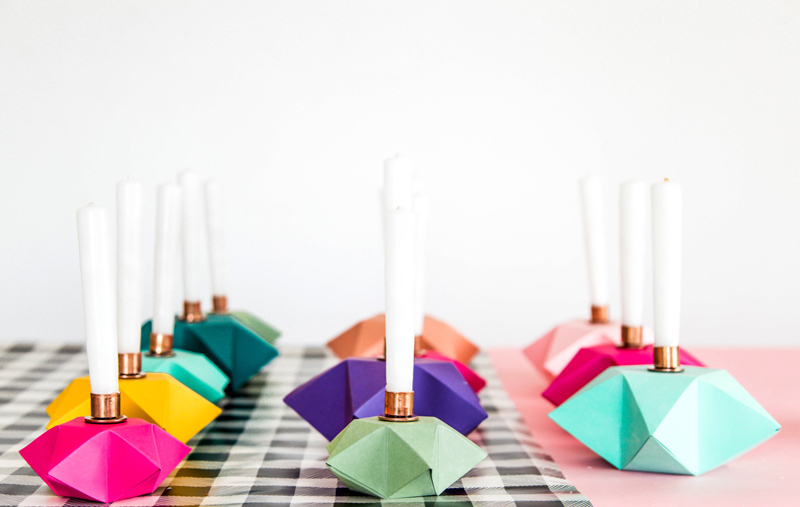 I can’t wait to see how you use these DIY candle holders in your own parties and home. I love that although the candle holders are paper, they look so substantial and in person, you almost cannot tell they are not ceramic and crazy expensive. But since we made them ourselves they cost literally under $1 a candle holder. WOW! WOW! WOW! Wouldn’t they make an amazing candle display done in serious mass for a wedding? Gosh, who knew making origami stars would be so fun and gorgeous looking. PS. Cork candles, cheese candles and walnut candles just for fun. omg, such a great idea. I need to try these! This is such an amazing post. 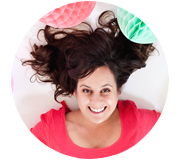 Thanks for sharing such a nice blog. I must try this packaging of candle boxes. I can’t find the pdf to download the star templates. Such a cute idea though!